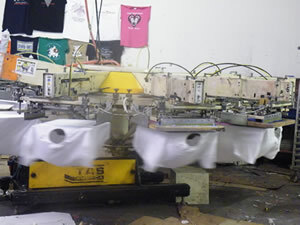 Apron screen printing information and FAQ's. Apron imprinting adds a professional look to your business. Imprinting establishes your brand and conveys to the customer you’re here to stay. We are proud to offer no minimum orders on screen printing. With production capabilities of 1 piece to 10000+ aprons, our system allows us to do that one of a kind order or that 6000 piece corporate event utilizing one of the largest imprinters on the east coast. We can meet tight deadlines while ensuring high quality and consistent results. You will be surprised how competitive our imprinting prices are for both small and large companies. •	Completely made and printed in the U.S.A. Send us a question we will be happy to help with all you imprinting needs. Contact us for quotes. Question - Where can my logo be placed on the aprons or vests? The most popular locations are the left chest, back or center chest areas. Please do not limit yourself to these common locations. 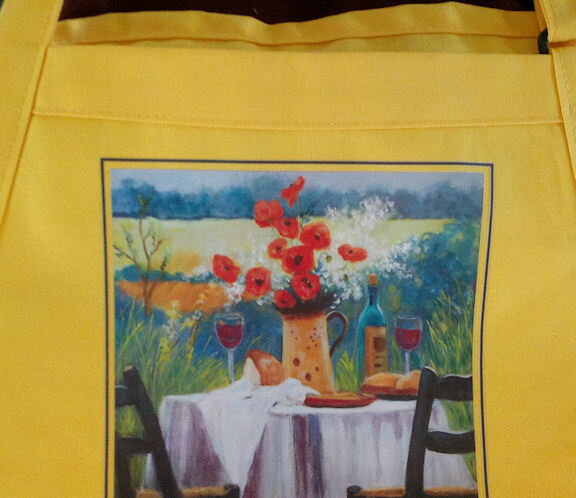 We have printed in various spots all over the aprons including the bottom, sleeves or on the pockets. Keep in mind we need to stay at least 1" from any stitching, hems, edges etc. Question - How many colors can you print? 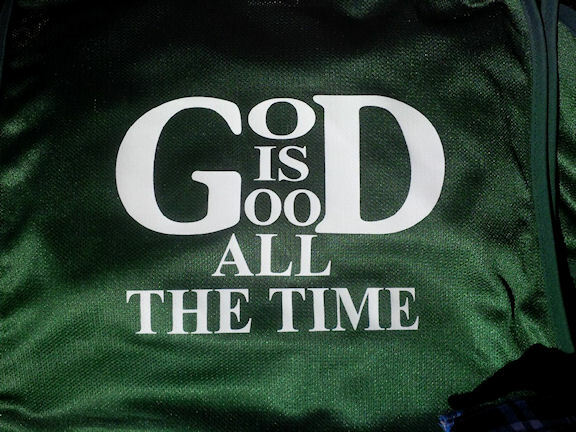 Basic screen printing can be done using 1 to 6 colors. We also have the ability to do a 4 color print process. Using this method we can capture finer detail and shading not found in regular spot color printing. Question - Can you match the ink/print color to my logo? Yes, custom color ink matching is available. We can get very close to the color but you would need you to provide us with a PMS or Pantone color number for us to match to. Question - How long will my screen printing order take before it ships? Rush orders are possible. Most imprinted aprons and chef apparel are estimated to take about 14 days to complete before shipping. We use this as standard time frame but many items ship sooner. Question - What does it cost for me to get my logo screen printed on my apron? Factors such as the number of colors, location, size of the print and order quantity contribute to the price. Please contact us with your logo or image and information. We can then give you a quote on pricing and production time.